Welcome home, to this 2 bedroom, 2.5 bath beautifully updated townhome! The carefully thought out floor plan offers an abundance of space for the whole family. From the pass through breakfast bar to the living room or the dining area just off the kitchen, you will find that the open concept downstairs layout makes this home perfect for entertaining. The kitchen was updated with new quartzite countertops and a new backsplash in 2018. Both upstairs bathrooms were updated this year as well, the master has even been outfitted with a bluetooth speaker so you can listen to your favorite music or podcasts during your morning routine. The flooring on the lower was updated in 2015 and the flooring in both bedrooms was just redone in 2018. 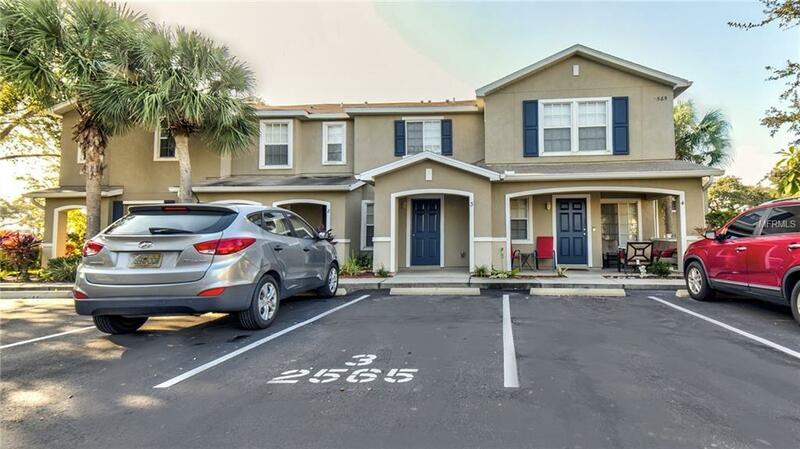 Centrally located in highly desirable area of Clearwater, you are close to everything, restaurants and shopping nearby, 10 minutes to the beaches, and just a short drive to downtown areas and Tampa airport. The low maintenance HOA fees allow you the luxury of getting more home for your buck! Just minutes away is the Morningside Recreation Center where you can enjoy the Olympic size pool, playground, tennis and basketball courts! This fantastically updated townhome, has everything to offer at an affordable price and HOA fee...make this one yours today! Pet Restrictions No More Than 2 Pets With A Combined Weight Of 75 Lbs.